I’m generally eager to see a movie when it’s about a book I’ve read. It seems that time after time though, I’m disappointed that the movie didn’t live up to what my imagination created while reading. Often when I read, I can think of actors that I would cast in a movie version. Then, a movie comes out and I think to myself, why did they cast that person for that role? Overall, I think a book is better than the movie. There have been oodles of children’s books that have been made into movies. Charlotte’s Web, James and the Giant Peach, Charlie and the Chocolate Factory, Polar Express, Jumanji, Mr. Popper’s Penguins, Cloudy with a Chance of Meatballs and most recently, The Lorax. The list could go on and on. 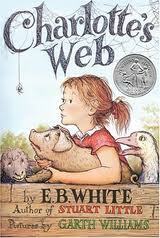 There have been two children’s movies that I feel do justice to the book. Granted they are oldies but goodies. The first is the 1973 version of Charlotte’s Web and the second is the 1971 version of Charlie and the Chocolate Factory called Willy Wonka & the Chocolate Factory with Gene Wilder. I love both of these movies and have used them countless times with students to compare the book version with the movie version. I really feel that a child should read a book before seeing the movie version. If it’s done in reverse, then the imagination doesn’t get a chance to create images from within. What do you think? Are there any children’s movies that live up to their book counterparts? Do you think it matters if a child sees the movie before reading the book? Is there a book that you would love to see turned into a movie? I’d love to hear your ideas. Couldn’t agree more about a child reading the book before seeing the movie. 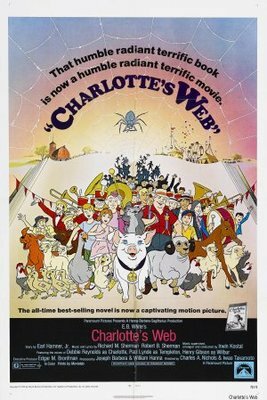 I liked your favorite picks for books turned into movies — I prefer the original “Charlotte’s Web” with Debbie Reynolds and “Charlie and the Chocolate Factory” with Gene Wlder. Did not like the movie version of Polar Express. I always try to read a book before I see the movie, and sometimes find I’m dissapointed. But, screenplay writers have a challenge in telling the story and capturing it’s essence. JK Rowling was one of the few that had some influence with the Harry Potter movies. They knew they had to keep them as true to the story as possible — and then there were changes. Pat, I love the Little House books and agree they were portrayed well on-screen. Thanks for your great insight. I always love to read your comments. Donna, thank you. How are you doing with books and autographed items. When is the cut-off date for mailing to you? I wondered about some books I reviewed recently, “Playing War” and another one I will review. The authors and illustrators are in contact with me and I thought about them know.